I quote at length to provide a feel for the nature and quality of the conversations presented in Beyond the Self—these are not first passes through difficult terrain; they are rather the explorations of two guides to the mind/brain, challenging and helping each other secure their footing as they explore the conceptual and experiential terrain. To get a sense of the range of topics covered, one could do no better than scan the chapter titles (and their usefully organized subheadings). Though the conversations are fluid, they are helpfully organized to give a reader a sense of the overall structure they have. This allows the reader to jump around or to re-visit particular topics with ease—and there's plenty worth revisiting. The notes are also a useful resource, offering academic sources for those interested in pursuing particular issues or particular studies. There are chapters dedicated to meditation and its effects on the brain, the role of the subconscious, epistemology, the nature of the self (or lack thereof), the alleged existence of freewill, and the nature of consciousness. A prospective reader can be assured of surprisingly in-depth treatment of these issues. While different readers will be rewarded in different ways by the dialogue (depending on one's background and familiarity with the issues), there's certain to something for nearly everyone interested in the topic. As someone with meditation experience and an academic background in philosophy, I found many familiar and welcoming descriptions of the process of attentive mindfulness, as well as its role in producing more compassion in those who practice it. 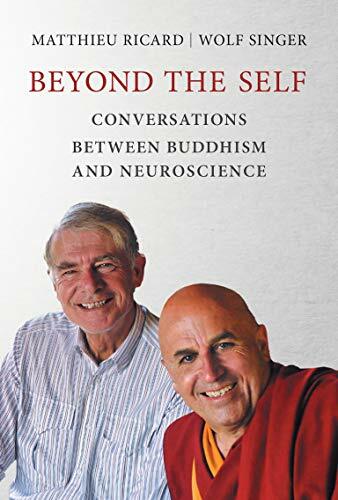 I was also delighted to see the level of nuance brought to bear on the issue of 'pure awareness' and its relationship to reductionism (the view that the mind can be explained entirely in terms of the activity of the brain). Singer's take on the role social interaction might play in generating certain kinds of experience is illuminating (it allows new forms of 'mental content' to emerge, creating a social level of reality unavailable for the unsocialized)). His articulation of the architecture of the brain as constitutive of memories, beliefs, and so on, is delightfully clear. Likewise, Ricard's insistence on a place for 'pure awareness' that is not simply explainable in terms of brain states (even when supplemented with social interaction) is compelling. One comes away from these conversations with a deeper appreciation of the issues and their possible solutions, and it's all done in very accessible prose. As is perhaps obvious, Singer and Ricard do not agree on every issue. If they did, the book (and its conversations) wouldn't be nearly as good. But time and again, Singer and Ricard find spaces of agreement despite very different approaches (one based on 'third-personal' evidence in the form of scientific experiments, the other based on 'first-personal' evidence in the form of study and practical expertise). Even when they do not agree, their disagreements are instructive ones, emphasizing the complexity of the issues discussed. Beyond the Self is rewarding, both for its content as well as for the intellectual generosity on display in that content. It is a model for how two very different worldviews can be brought to mutually elucidate each other. I highly recommend it.